For years, DeVry University, like other big for-profit colleges, forced its students to sign agreements that they would take any dispute with the school to private arbitration, rather than sue in court. When, this year, it appeared that the U.S. Department of Education was moving in the direction of banning or limiting such mandatory arbitration agreements for colleges that get federal student aid, DeVry, to its credit, reversed course and announced on May 13 an end to forcing students into arbitration. Now, as the Department of Education moves toward a rule finalizing limits on forced arbitration by colleges, there’s a twist: Two former DeVry students, T’Lani Robinson of Georgia and Robby Brown of Missouri, citing the arbitration provisions in their enrollment agreements, filed on June 16 a demand for arbitration with the American Arbitration Association. And in response, DeVry has gone to a federal court in Chicago, its home turf, and sued the students, claiming the dispute belongs in court, not arbitration, at least for now. The fact that DeVry committed (to me) that it would not be enforcing mandatory arbitration agreements does not eliminate the rights of students to invoke these agreements to force DeVry to arbitrate. Julie Murray, a Public Citizen attorney who is expert on arbitration matters, told me she agrees. Robinson and Brown claim in their arbitration filing that DeVry breached its contracts with the students and used deceptive advertising. 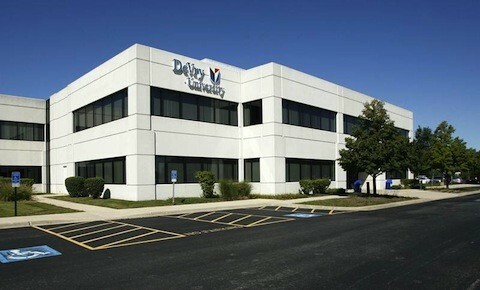 They cite the lawsuit filed earlier this year by the Federal Trade Commission, which focused on DeVry’s long-standing assertion in ads that 90 percent of its graduates get jobs in their field of study within six months, and that bachelor’s degree graduates on average earn 15 percent more than graduates from other schools. Robinson and Brown have filed the arbitration as a class action, purporting to bring the matter on behalf of all DeVry students who might have similar claims. DeVry’s lawsuit against them, filed July 21, asserts that the arbitration agreements it signed with the students do not permit a class action arbitration, and that the issue of whether there can be a class action arbitration must be decided by a court, not an arbitrator. The arbitration clauses in Robinson’s and Brown’s enrollment agreements do not prohibit, expressly allow, or otherwise mention class actions. But the clauses do say that “Any claim or controversy arising out of or related to the terms of this Agreement or the education provided by DeVry, regardless of form or cause of action,” (emphasis added) must go to arbitration, not court. Resolution of DeVry’s lawsuit, through various levels of federal appeals, could delay the students’ arbitration proceeding for years. On the other hand, Robinson and Brown might decide, now that they are in court, to simply move their whole case to that forum. I haven’t asked for comment from DeVry or from Robinson and Brown’s lawyer about how they will proceed, because I realize they will be addressing these issues in the litigation itself. It will be interesting to see how it plays out.